Thankfully, x-rays showed that it's not broken. But it is all splinted up. No football for a week. Yay! How are those doors comming? 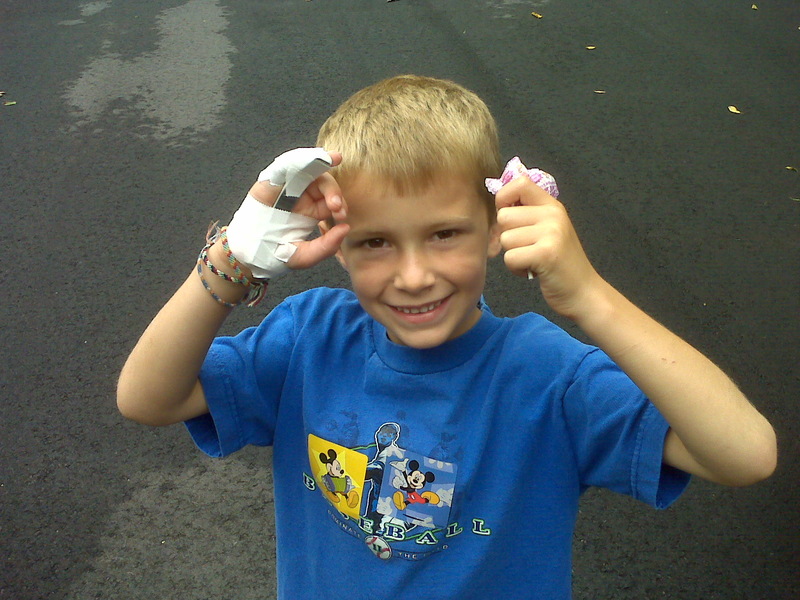 I love the pic, smiling with the splint. He looks pretty macho with that splint and the suckers. So cute! Do I dare ask what he did to earn the splint? Poor Middle! Poor Mommy! Boyz are so resilient. I have a similar morbid fear of hot water. I practically, okay literally make mine leave the kitchen when I have to drain pasta.